A yellow and black triangular sign appears by the roadside. It says: ‘Animal casualty here within the last week’. Another pony hit by a car in the New Forest. It is an all-too-familiar story. And it is especially poignant in the spring: as the foals are born the risk of accidents increases. New Forest ponies have no road-sense and they will wander out in front of traffic without warning. Foals can be skittish and, if they realise suddenly that they are separated from their mothers, they will make a dash for it regardless of the road conditions. Sadly they do not know the Green Cross Code. 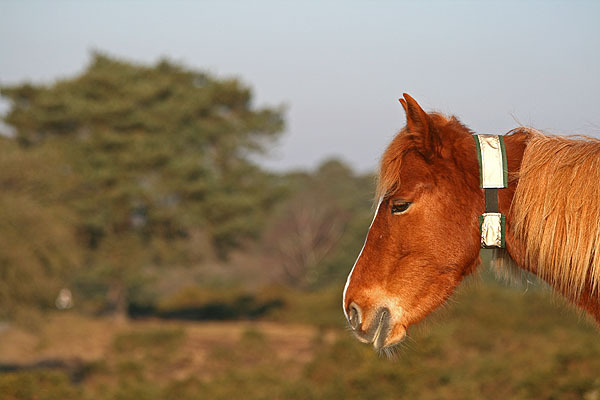 Around 100 animals are injured or killed on the roads of the New Forest each year. These are not just statistics: each lost animal means distress for its owner, for the Agister who attends the scene, and for the driver who may suffer damage to a vehicle or worse. What can be done? Forest organisations work together on campaigns to raise awareness and reduce the death toll. The temporary triangular road-signs highlight animal accident sites, warning drivers of blackspots. A credit card-size animal emergency hotlines card tells drivers whom to contact if they see an animal accident or if they are involved in one. A free car sticker encourages careful driving to safeguard ponies. Animal safety messages are promoted widely in Forest leaflets, on websites, in talks and even in community radio adverts. There is evidence that this work makes a difference. While the number of animal accident deaths fluctuates from year to year, the numbers have decreased compared with previous decades. In recent years, following major campaigns, the numbers have been the lowest on record. The challenge is to keep the awareness levels high and, more than that, for everyone who drives in the New Forest to take personal responsibility. The vast majority of animal accidents involve local people – not surprisingly since we live and work here and drive here more often. We get used to ponies on the road and become immune to the safety messages. The main A-roads are fenced, so should the same happen in the rest of the New Forest? Even were it practical to fence so many roads, the character of the New Forest would be changed dramatically from an extensive open landscape rare in the south of England to a series of outsize pony paddocks. Each of us driving carefully when there are ponies and other animals on the road is really the best answer.